Are there things you want to know about Kyoto for an upcoming trip? Do guide books give you too much information and don't seem very personal? Do you want a planned itinerary to save you the most time? Kyoto Sights and Nights offers excellent consulting services to help you plan your trip to the ancient capital. 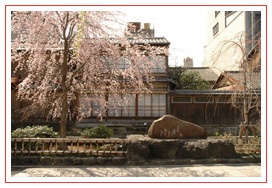 Trust the experts with almost a decade and a half of experience in Kyoto. Please contact us after you have booked your flight and accommodation. We can put a 1 day, 2 day or 3 day itinerary together for you. With every itinerary we will provide you useful links and a schedule of optional events happening in Kyoto while you are here, as well as a few helpful tips to help make your stay in Kyoto the most enjoyable . Each day of the itinerary will provide you a complete 8-10 hours of sightseeing. 1.We are based in Kyoto and updated daily on new and upcoming events, etc. 2. We will save you many hours of having to go through guidebooks. 3. The money you spend on our services will come back multiplied in the time and money you save with our itineraries. 4. Less frustration due to regularly updated information. 5. We separate the typical “Googled” must sees from the “real” must sees. 6. Our itineraries have been made up from the feedback of the thousands of customers we have serviced over the years as well as our local expertise. Please note: We do not give recommendations for hotels or ryokans. Please specify likes and dislikes (allergies or other dietary restrictions). Are there any particular things you want to do, places to see or things to eat? Do you prefer walking, public transit, taxis or private hired cars? Please allow 72 hours after confirmation of payment for your detailed itinerary. Due to an overload of emails with general questions about Kyoto, we have made for you a links page that should be able to help you. We cannot answer general inquiries about Kyoto and Japan, but we can provide you with consultation services for planning your trip to Kyoto for the fees listed above. Disclaimer: All the information in the itineraries is always being checked and we do our best to give each person a unique and original itinerary. However, Kyoto Sights and Nights does not accept responsibility for any problems with or between recommended places or foods.